Losing weight takes time and dedication. Many people turn to supplements for help, including preparations containing Garcinia Cambogia extract. This popular extract, derived from the rind of a South Asian fruit, may aid fat burning and suppress appetite. Multiple brands crowd the shelves. 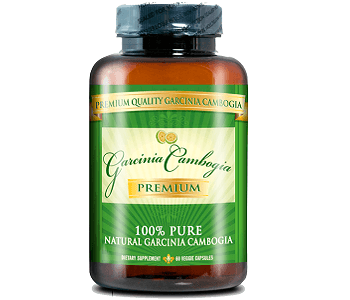 Today we review Garcinia Cambogia 60% by GarciniaLab. The main ingredient in this supplement is 500mg of Garcinia Cambogia extract standardized to contain 60% HCA (Hydroxycitric acid). HCA is the element of Garcinia Cambogia that gives it its weight loss effects. The other ingredient found in this product is vegetable cellulose, which makes up the capsule. This is a clear and simple ingredient list. The vegetable cellulose capsule makes this product suitable for vegetarians and vegans. However, the concentration of HCA is lower compared to some other products on the market. To be effective, a concentration of 95% is recommended by studies. Take one capsule twice daily, 30 minutes before a meal. This results in a total dosage of 1000mg. This seems low as a dosage of 1600mg is thought to be optimal. There is little use in ingesting a product too weak to be effective. The manufacturer lists side effects such as dry mouth and upset stomach. It does not recommend the product for anyone under the age of 18 or those who are nursing or pregnant. They further state that those with medical conditions or prescriptions should contact their doctors before taking this supplement. Garcinia Cambogia products have been associated with dizziness, upset stomach, dry mouth, and diarrhea. It may also interact with asthma medications, statins, and blood thinners. 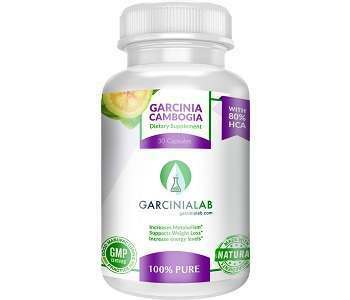 At the time of this writing, Garcinia Cambogia 60% was available through the GarcinaLab website at $24.95 for a single bottle of 30 capsules. This will not be a full month’s supply. There are discounts for bulk buying. The discount increases with the number of bottles purchased, culminating at five bottles for $19.45 each. GarcinaLab has a somewhat limited refund policy. They accept returns of unopened products for up to one month after purchase. They offer the choice of a full refund or credit towards a future purchase. Opened products that are unsatisfactory or defective may be returned within one week for a refund or credit. The refund process must be initiated by a phone call to the customer service center. While we appreciate the manufacturer’s willingness to provide a refund, the small time window dismayed us. Losing weight is a long-term goal and 30 days, let alone a week, is not sufficient time to decide on a supplement’s effectiveness. The strength of a guarantee can indicate a company’s belief in its product. We have greater confidence when purchasing from companies with good guarantees. The manufacturer’s website provided the only forum for feedback. There is no way to know whether or not the company deleted unfavorable comments to protect its image. The simple ingredient list contains no calcium which may impede the action of the supplement which makes it a favorable choice. The capsule is made from vegetable cellulose, making the product suitable for vegetarians and vegans. The product is also manufacturer is a GMP-certified factory that is located in the United States. However, our concerns outweigh these benefits. We feel that the low concentration of HCA may render the product ineffective and waste the consumer’s money. Reliable, unbiased feedback is also unavailable. Finally, the short window for return denies buyers time to fully assess the product.